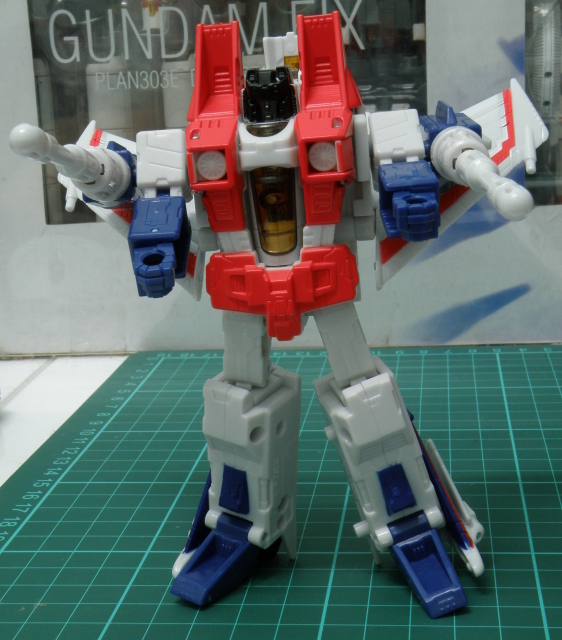 Transformers Universe G1 Series StarScream – Robot mode | Out of the box. 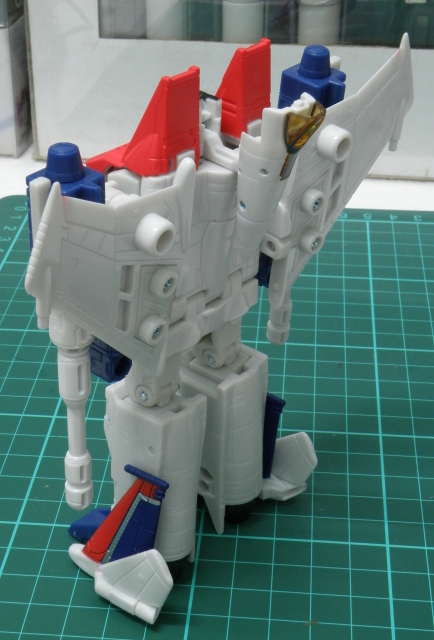 Starscream is abit of mix view even in its robot mode it equally good and bad. Proportion wise it is ok, torso is good propotioned, but it has large legs and small hands short hands with 2 oversized cannons. The pelvic area is only good when look from the front. From the view of the side, you will realized that the pelvic region is just a thin piece of plastic. From a closer view up at the sides, the transformation from F16 to robot left a big open gap that gives a representation of a hollow torso. 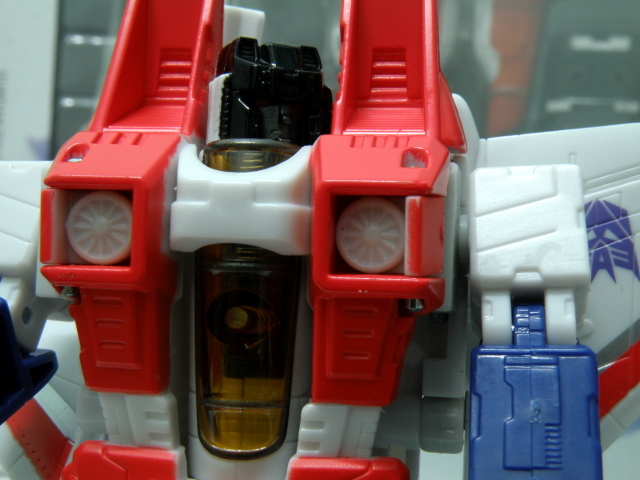 Back of the robot is less desirable, the nosecone of the F16 can be spotted connected to the back of Starscream head. 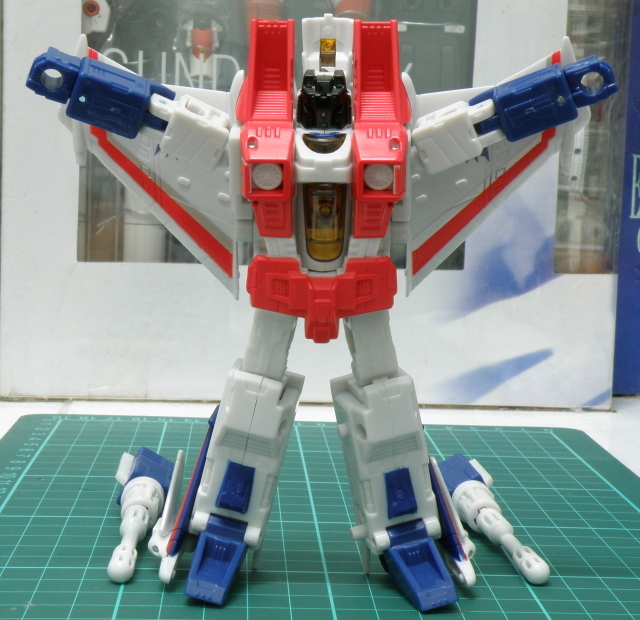 Fortunately, the wings of the seeker is G1 animation accurate. Articulation wise, its torso area has no articulation. Articulation is limited to head, arms hips and legs. Arms articulation is very limited by the null cannons at the arms. 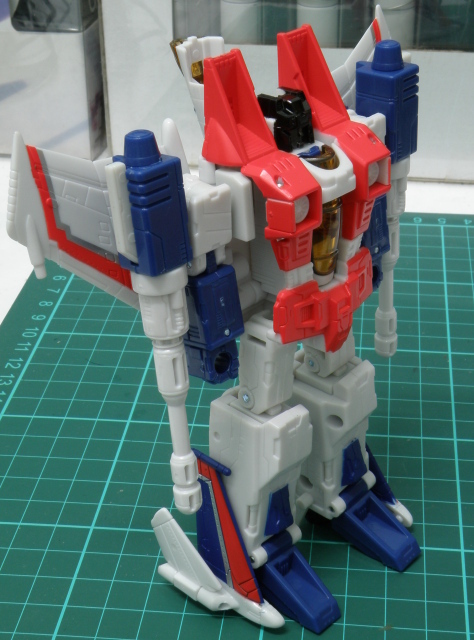 Removing the cannons can improve the articulation of the arms. 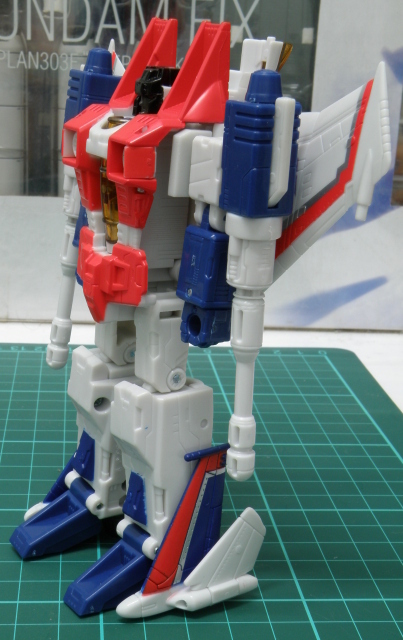 Starscream is able to made to stand on 1 leg, unfortunately the loose hip joint causes the pose to show very funny result. Articulation of the head is limited to twisting the head from left to right and right to left. 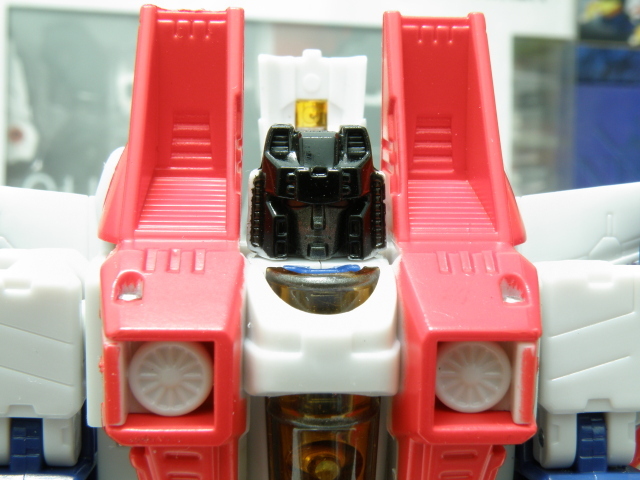 The limitation is due to the toy design in which the nosecone is attached to the head of Starscream. 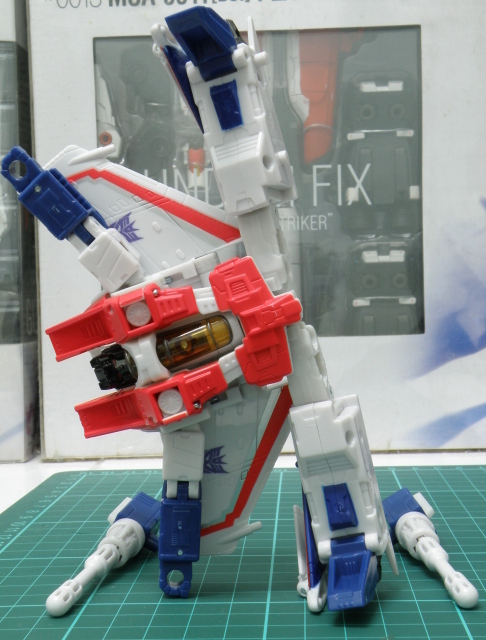 Overall Starscream is an OK toy. 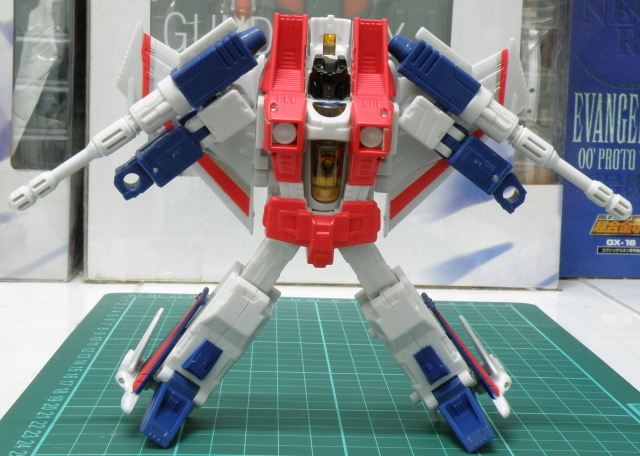 The reason to get it is the Starscream factor. Sculpt is properly details but paint job is bad, lots of smudges. Articulation is hindered by the toy design. 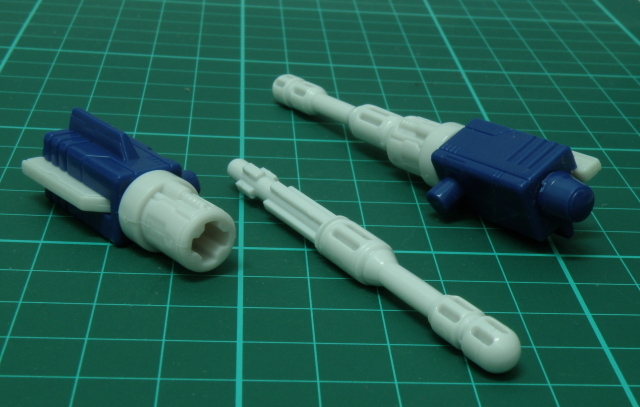 Very obvious hinderance to articulation is its null cannon, nosecone as well as very loose joints. 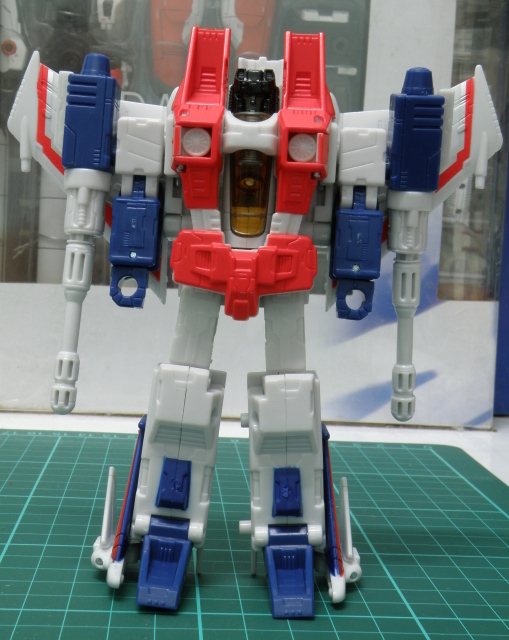 Not to be repetative, the only redemption for the toy is because it is Starscream. This entry was posted in Mecha, My Hobbies, Transformers and tagged armament, articulation, Decepticon, Destron, G1, Generation 1, Generation1, gimmick, hasbro, hasbro transformers, henkei, review, review summary, robot, robot mode, starscream, takara, takara tomy, takaratomy, transformer, Transformers, transformers classic, Transformers Universe, Voyager Class by KarMeng. Bookmark the permalink.